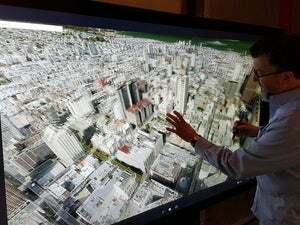 Microsoft's supersize Surface Hub is often viewed as a computer for videoconferencing and digital whiteboarding, but it is emerging as more than just the centerpiece of a conference room. Microsoft and SoftBank Robotics are linking Surface Hub panels to the Azure cloud services platform to make shopping easier for shoppers in stores. The Surface Hub will make purchase recommendations based on an analysis of data collected from stores, customers, point-of-sale purchases, smartphones, e-commerce sites and other sources. For businesses, Azure can turn cloud-based data into presentations on the Hub. The inking and touch features allows business users to take take the data, create different models, make comparisons, and then make projections, Gallot said. 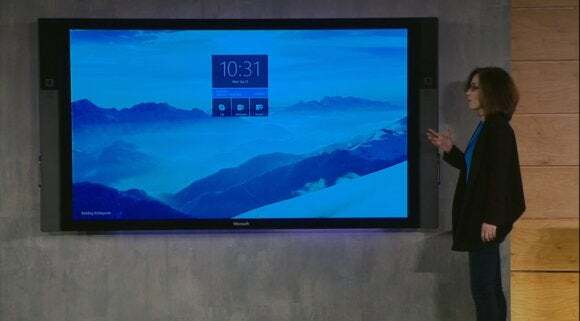 There are many examples of ways in which the Surface Hub could tap into Azure for business planning, forecasting and customer engagement, Gallot said. The ability to use a large-screen computer to manipulate and present data is highly valued in sectors like finance, where critical decisions are made based on big-data insights, Gallot said. Hospitals are replacing whiteboards with the Surface Hub, which uses Skype for Business for videoconferencing and OneNote as a digital whiteboard. Applications hosted on Azure are also now being used on Surface Hub. Mural, a cloud-based digital whiteboard hosted on Azure, is being used on Surface Hub so remote workers can collaborate on documents and product designs. The service can be fired up during Skype videoconferencing sessions. Azure itself is also closely linked to other hardware. HP considers Azure a key element in the ability to convert its Elite X3 smartphone into a PC alternative. Azure also provides the middleware for makers using Raspberry Pi 3 to connect internet of thing devices and cloud-based services, said Eben Upton, founder of Raspberry Pi, in an interview. Starting at $8,999, the Surface Hub isn't for everyone. It won't be upgraded as often as regular tablets and PCs, but it's versatile and the use cases will continue to expand, Gallot said.